VT-JCX (click for photo) and VT-JCY are now visible on the DGCA’s aircraft register; These are the two, and presently only ATR 72-600s in India, flying for Jet Airways, and deployed on the Mumbai-Diu-Porbandar and Mumbai-Udaipur sectors. Interestingly, both airplanes reflect on the register as “ATR 72-212A", which is no different from the type designation of the ATR 72-500. While it is confusing for someone looking up the registry to know if it refers to the ATR 72-500 or the ATR 72-600, a simple look at the All Up Weight, year of manufacture and evidently the manufacturer serial number will sort out your confusion; The ATR 72-600s have an AUW of 23,000kgs, while the ATR 72-500s had a maximum of 22,800 (in the Jet Airways Fleet). But why the same name? ATR 72-212A “600 version” is the designation to identify ATR 72-212A aircraft models having received the New Avionic Suite (NAS) modification, also named as “Glass Cockpit”, which represents the incorporation of ATR Significant Major Change no 5948 and a batch of associated ATR (major & minor) modifications. 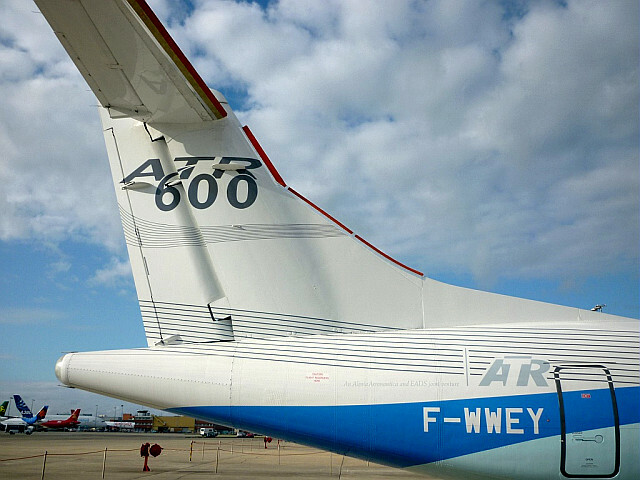 ATR 72-212A “600 version” aircraft are not considered as new aircraft model or variant. “ATR 72-600” is the commercial designation of the ATR 72-212A aircraft model fitted with NAS modification. This designation must not be used on ATR certified / approved documentation, and only mention of ‘Mod 5948’, ‘ATR 72- 212A with Mod 5948’, “ATR 72-212A fitted with NAS‟ or “ATR 72-212A -600 version" must be indicated. F-WWEY, manufacturer serial number (MSN) 098, is a 24 year old ATR 72, made in the same year as the first flight of the ATR 72. That very ATR was, in the May of 2009, converted to a ATR 72-600, highlighting the minimal visible differences and changes that the 72 has undergone since its first flight. The biggest change in the ATR 72 is the new avionic suite, which transforms the Honeywell and Collins cluttered deck to a clean, well laid out modern glass cockpit with avionics from Thales. Borrowing philosophy and deriving certain functionality from the Airbus A380, the cockpit is new. Very new. —The Dividing Line: The clean and well presented -600 cockpit (left) and the cluttered -500 cockpit (right). Undoubtedly late, but worth the wait. So new that a very senior commander with the airline, says that “An ATR 72-500 can directly hand fly the -600 easily, for nothing changes with respect to the handling. But he will not be using the avionics to the best of its automation capabilities and functions that significantly ease crew workload, and boost situation awareness". Honestly, when I sat with the cockpit layout diagram of the ATR, I was lost, despite being very familiar with the -500. Where you once knew knobs, switches and controls to be: may not be there at all! With CRTs and electro-mechanical gauges replaced by 5 LCD screens of 6" x 8", the number of parts has been cut down by 30%, offering a 30kg weight saving and maintenance cost savings of around 15%. For an aircraft that has jumped 200 kgs in its AUW in comparison to the -500 fleet at Jet Airways, 30 kgs is a significant amount. Let’s try to understand the gains. 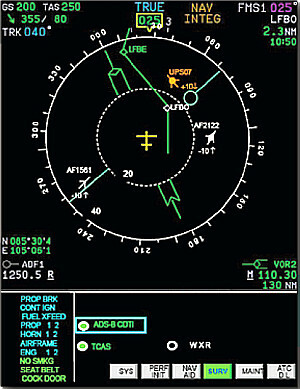 The older ATR cockpit has, for primary flight instruments, an electro mechanical airspeed indicator with bugs that need to be manually set, a CRT based EADI (Electronic Attitude and Direction Indicator), that would only show you, in addition, if you were flying faster or slower than the manually set speed on the airspeed indicator. 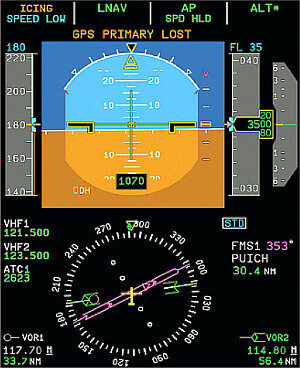 The altimeter is electromechanical, with a knob to set the pressure. Newer vertical speed indicators are small, LCD screen based, that also doubles up as a traffic alert collision and avoidance system (TCAS) display, with a small map showing proximate traffic, and the range of these proximate traffic set by a range button. All this, and significantly more functions, are now packed into the primary flight display, which is just one 10" display. There are no moving parts. There is no bulky equipment associated with a Cathode Ray Tube. There is reduced electromagnetic interference, and reduced cooling requirements. If you need a simple comparison, think of the difference between a 34" LCD screen and an old TV. The LCD screen is clearer, crisper, bigger, with richer colours, thinner, significantly much lighter, and when you place your hand near the back, you hardly feel any heat. And if you are to bring your portable radio near the LCD screen, you’ll hardly hear any interference, if not nothing at all. 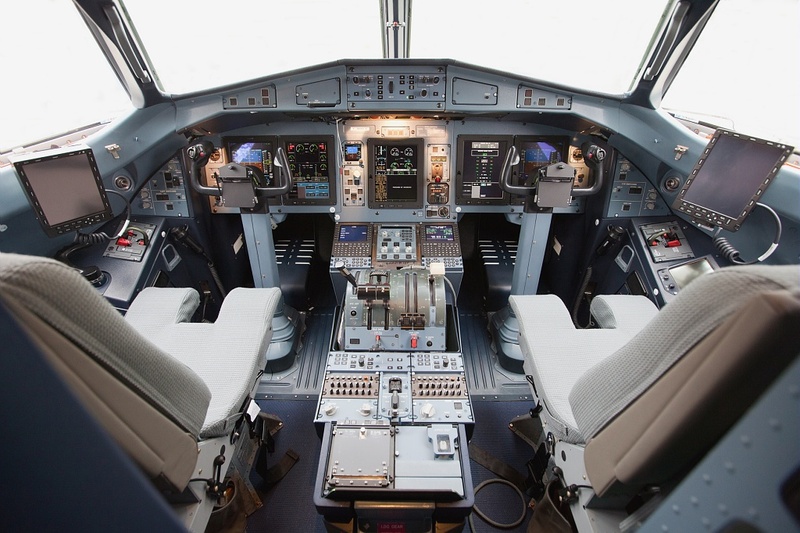 The ATR 72’s NAS cockpit is way beyond this. Besides eliminating old technology, and boosting reliability, the NAS introduces much greater functionality that serves one significant purpose: reduced crew workload and increased situation awareness. The ATR crew today is better equipped to answer the questions of “When", “Where", “Why", “What" and “Who" much quicker, with possibly greater accuracy than ever before, without moving the head and hands too much in the cockpit. Organized, simplified, reliable and enhanced: this is the new ATR that will make your flight in the skies safer. Join me as we discover how, as we embark on a journey that describes, in significant and sufficient detail what this new airplane offers, in contrast to the other 42 ATR aircraft registered in India.